Ruby Vineyard is a family-owned and operated winery and vineyard in the Chehalem Mountains AVA in Oregon’s Willamette Valley, representing a confluence of old roots, both familial and viticultural. The 7.25 acres of Pinot Noir at Ruby are own-rooted vines and some of the oldest in Oregon, planted in a narrow band of rare Laurelwood soils. Our vineyard is dry-farmed using sustainable agricultural practices and is organic and LIVE certified. The history of our vineyard starts during the heyday of the Oregon Trail, with the arrival of the Hendricks family in the Willamette Valley. Ruby Vineyard co-owner Steve Hendricks’ great-great-grandfather, Abijah Hendricks, arrives in the Willamette Valley on the first wagon train of the Oregon Trail and builds a homestead near Carlton. 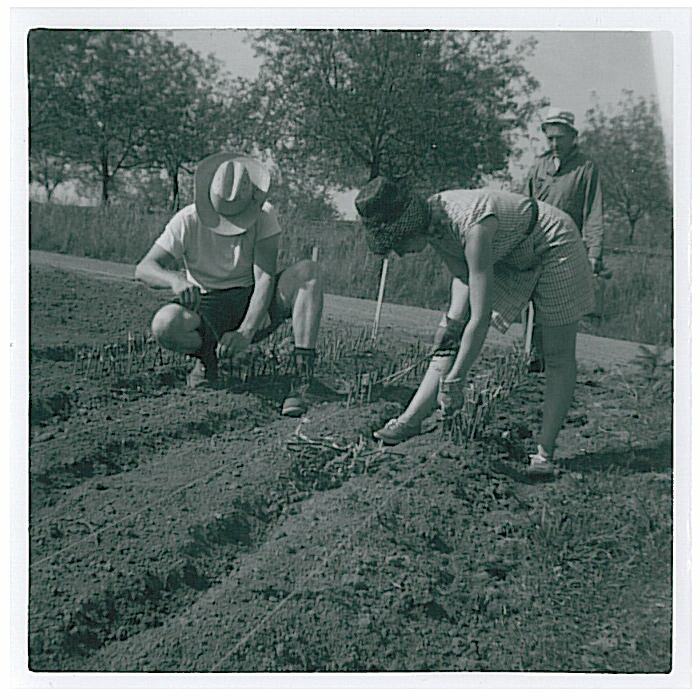 The first vines at Ruby are planted by John and Beth Hiestand--Wädenswil clone Pinot Noir cuttings from the famous South Block of Eyrie Vineyards originally planted by David Lett, a pioneer of the Oregon wine industry. 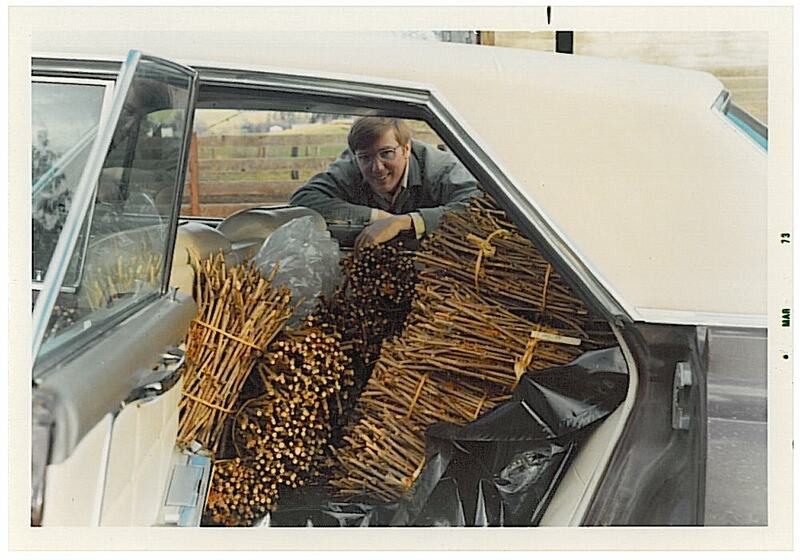 Bill Beran plants the majority of what would eventually become Ruby Vineyard--seven acres of own-rooted Pinot Noir, Riesling, and Chardonnay. The white wine grapes are later grafted to Pinot Noir Dijon clone 115 in 1990. Bill and Sharon Beran convert an old dairy barn on the property into a winery. 1997 is the first vintage of Beran Vineyards wines. Steve Hendricks and Flora Habibi purchase the vineyard from Bill and Sharon Beran and establish Ruby Vineyard and Winery, named after Flora’s favorite gemstone. For Steve, Ruby represents a return to his familial roots in the Willamette Valley. Ruby Vineyard releases its first commercial vintage. Steve purchases Pinot Noir grapes from Timbale and Thyme Vineyard, the land once owned by his great-great grandfather. These grapes are used to make the Hendricks Legacy Pinot Noir, with a label that bears the land deed originally granted to his family. Read more about the Hendricks Legacy Pinot Noir here. We make Pinot Noir from some of the oldest vines in Oregon, as well as Pinot Gris, Chardonnay, Rosé of Pinot Gris, and Chenin Blanc dessert wine. Our wines are made on-site in the property’s original green barn. Our winemaking style is traditional, under the direction of our winemaker, Andrew Kirkland. We take great care to ensure each bottle is expressive of place and the great depth and character imparted by the Laurelwood soils in our vineyard. We source fruit from neighboring vineyards in the Chehalem Mountains AVA and beyond to make wines our neighbors can afford to drink. Family comes first at Ruby Vineyard. Our family works together in the vineyard, winery and tasting room to make expressive wines for everyday and special occasions alike. Steve and his wife Flora had a lifelong dream of owning a vineyard and making their own wine. 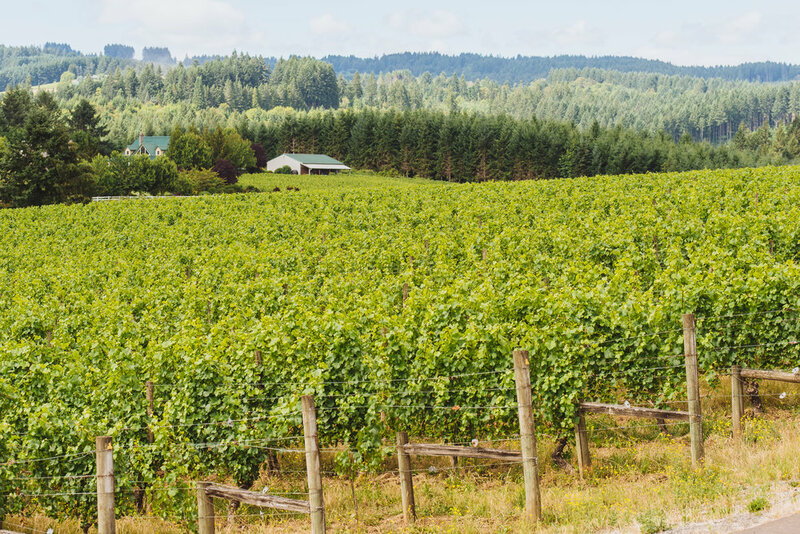 This dream became a reality when they purchased Beran Vineyards in 2012, one of the oldest intact original plantings in the Chehalem Mountains AVA. Together, Steve and Flora now work on every aspect of the winemaking process at Ruby Vineyard, from driving the tractor to pouring flights for guests in the tasting room. They believe in farming the vineyard and making wine with intent, vigilance, and minimal intervention. They hope to carry forward and contribute to the legacy of this very special winemaking region. Andrew Kirkland grew up in Seattle, Washington, a fifth generation North-westerner. Work in fine dining restaurant kitchens in Seattle and New York City during his early adult years led to an exposure to fine foods and wine. After graduating from Western Washington with a degree in History, Andrew had the opportunity to spend a growing season in Beaujolais, working with a small organic producer, from pruning through harvest. The harvest in Beaujolais, along with extensive tasting and exploration of France’s vineyards, changed Andrew’s life and left him wanting more. In 2012, he worked at the Carlton Winemaker’s Studio, where he met Eric Hamacher, now Ruby Vineyard’s consulting winemaker. 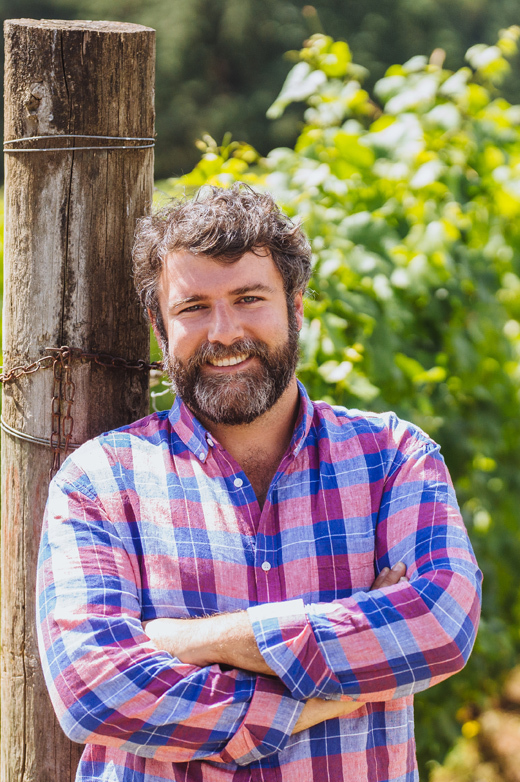 After two years in the Hunter Valley of Australia, he returned to work with the team at Brittan Vineyards and Consulting in Oregon. Andrew joined Ruby Vineyard in the spring of 2016, bringing his creative energy and drive to express site with every passing vintage. Stanley joined the Ruby Vineyard team in 2007 as a puppy. He came to Ruby from a wonderful no-kill shelter, Family Dogs New Life. Although Stanley loves all aspects of winery life, his favorite activities are greeting customers and singing. Ask Stanley to sing “happy birthday” and he’ll start howling enthusiastically. Whether strolling through the vineyard, keeping an eye on the vines, or providing entertainment for guests, Stanley is a valuable asset to the Ruby Vineyard team.